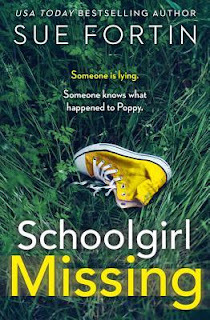 When fourteen-year-old Poppy vanishes on a family boating trip, suspicion soon turns close to home – to the two people who should do everything to keep her safe, her parents, Kit and Neve. Can they really be responsible for their little girl’s disappearance? Kit would do anything to keep his family safe and happy. But his refusal to have another child has been causing a strain on his marriage. And he’s worried Neve’s mental state is growing increasingly unstable. But would he harm his own daughter just to prove he is in control? I got through this book in 2 days. It was riveting and I enjoyed it although didn't love the characters. Everyone annoyed me. The story is 3 separate parts. The build up, the search and the aftermath. Definitely interested in more from this author. Neve wants to have a baby of her own but cannot talk her husband into it. Kit is a widower who already has a 14 year old special needs daughter named Poppy and doesn't want another. He has told Neve this is non-negotiable for years but she thought she would eventually break him. When Poppy disappears off the family boat, the police are looking at them and neither trusts the other right now but the lies are pilling up and fingers are pointing everywhere. Can a woman with a secret past and a husband searching for answers work things out? Hmm...I wasn't sure but enjoyed the ride. Disclaimer: I received an ARC for my honest opinion. No monetary compensation was offered.